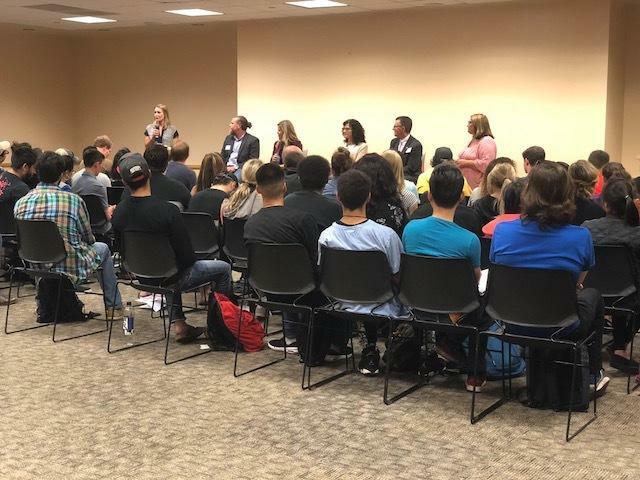 On September 6th, GreenFig partnered with Metropolitan State University of Denver and held a panel discussion for their students. The panel focused our Digital Marketing Science class - a one-of-a-kind live virtual experience to invite students from MSU Denver to join other students from around the U.S. to learn the skills that they need to land today's top jobs from leading industry experts. Our goal is to help them gain real-world work experience that employers seek in today's job market. We wanted to give their students a look into their potential future by offering them information on digital marketing fundamentals, digital strategy, digital marketing tactics and marketing technology & platforms. This panel included 4 of Denver’s best industry experts who shared their thoughts about the Digital Marketing world. These 4 experts shared insider tips on what it takes to get hired and excel in today’s fast-moving digital marketing field. They focused on the different trends in the marketing world, the different aspects hiring managers look for on resumes, the critical skills that can help someone stand out and the steps someone can take to make dreams become reality. Expand your connections, reach out and don’t be afraid to connect with people on LinkedIn. Have something interesting to say. Seek to learn as much as you can about marketing technology. It will open doors for you. Soft skills are important, learn how to translate what you learned in college to how that can be applied in the real world. We had a great turnout with over 80 students in attendance. 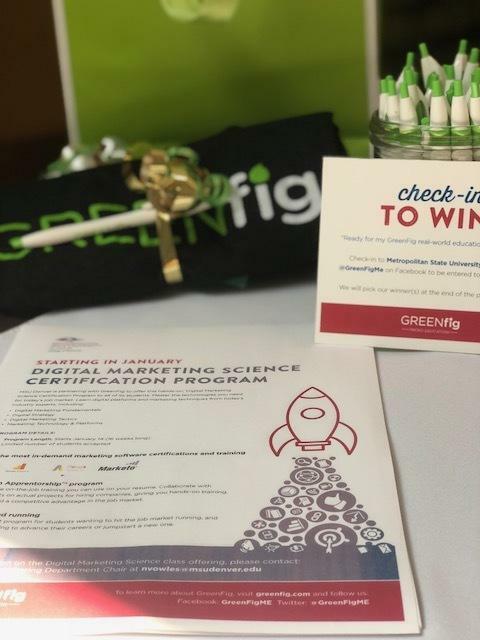 After the panel was over, the students were able to interact with the panelists and some even won some GreenFig swag! Interested in learning more about our Digital Marketing Science Program? Get more information here. The Importance of leading & lagging metrics in marketing Goals. Metrics. SQL. AQL. MQL. KPI. It is true that digital transformation will require a different type of professional workforce. But, the statistics show that this workforce is not going to be dominated by coders, computer scientists, mathematicians, et al. Instead, it will be largely comprised of people with digital skills and work experience using them; people who have proven they understand how to operate and apply – not code – digital business applications.